This past weekend, I was planning to visit my friend Gene and his family, as son Stephen prepared to depart to USMC boot camp. Stephen’s trip to Parris Island, SC began long ago. I believe it was love for God and country, passed down from his family, which caused him to arrive at his decision to serve. I believe it was his dedication to serving the Lord for freedom and liberty that causes our freedom and liberty to remain strong. Unfortunately, I was not able to attend the family gathering, as I had wrenched my back on Friday night – while helping to pitch batting practice to my son’s baseball team. There are times when I’m convinced I am a young man in an older man’s body – a body that refuses to move as quickly as the mind tells it to. In avoiding a line drive up the middle, I turned a little too quickly. Because I couldn’t attend, I called to speak with Gene and Stephen. It was a very important for me to speak with Stephen – and to express my appreciation for his decision to serve. More importantly, it was important for me to lift up Stephen and his family in prayer. Because Stephen decided to serve, we are a stronger country. I have not had the honor of meeting Stephen yet. I also have not met thousands of young Americans who have decided to join the USMC, as well as the other service branches. However, I know freedom intimately. I appreciate liberty, and I honor sacrifice. So to Stephen and many other young men and women who head off to serve, I say thank you. My family and I lift you up in prayer for all that you do, and we appreciate and admire the sacrifice your families have made, as well. Without your service, and the service of all who have gone before you, the strength of our country would be in peril. Freedom and liberty would hang in the balance. Like the back of this American, there are times when our country seems a bit hobbled and a little worse for wear. But like the back of this American, we know that the pain, while inconvenient, is temporary because our people are strong. There is no greater show of strength then when we see a young person decide to serve our country. God Bless Stephen, his family, and all of the others I cannot possibly name. Stephen your the man. I’m extremely proud of you. Your top notch, and one of my best friends. Love you bro. Stephen This is your fathers cousin Sue I will have you in my prayers every night and day. May God lay his hand on your shoulder and pray for your safe return to the hands of your family. Gene keep me posted on Stephen s safe return. As a mom, my heart is heavy knowing this kind of call to service for our children is a necessity. But this is the world we live in. And so I am proud of my cousin for taking this step, and of his parents for raising such an integrity-keeping young man. Stephen, I hope above all hopes for your your continuous safety along your journey in the Marines, knowing that at this very moment you are a blessing to those around you. Sending huge cyber hugs, sorry they aren’t in person, but they come from the heart. Stephen, Even your neighbors are proud of you! Best of luck on your brave choice of paths in service to our country! Stephen, Just wanted to let you know how much I truly appreciate you and your courage that you have demonstrated in your decision to serve our country. You are now not only a brother in Christ but a brother in arms as well. We are the 1% that chose to make a difference. I am believing that you are a much greater server and placing you in the .0005% as you serve and follow the Lord in your duties as a Marine of the United States of America. I am so very proud and honored to know you and to call you brother and friend. Jesus said that there is no greater love than for a man to lay down his life for his friend. Jesus also said that He was a friend even closer than a brother…. It is truly pleasing to see that you have laid down your life for your friend Jesus. Serve knowing that you are loved and blessed doubly. I love you my brother and you are always welcome in my camp. Airborne! hey stephen, im not as close as everyone else is but im close in the heart. I hope all is well and you are doing good and staying strong through this journey you have decided to take. Its a great one, believe me. I hope you are learning alot of new things and having fun while doing it. I am def. going to come visit asap with you and everyone. I know you have alot of support from family and friends, but remember i am here one of them to supporting you all the way. I am so proud of you Stephen and I’m amazed more and more everyday at how great of a friend you are. I love you! hello stephenopolis!!!! just wanted you to know how proud i am of you and i hope your next few years as a marine takes you to places spiritually and physically you couldnt have dreamed possible!! your cand do attitude will take you far in this world and i know the Lord has big plans for you. I heard that you are leading people to Jesus? That’s awesome! I am so proud of you and I am glad that you stepped up. I heard it’s not easy what you are doing but you are the perfect guy for it! I miss you and can not wait to hear all the awesome stories I am sure you are experiencing right now.I am proud to call you my friend and brother in Christ. I am praying for you always. The Cross family is proud of your decision to serve God and Country, this way! Every time I think of John 15:23, I think of the Men and Women in Uniform. We are grateful for your sacrifice, and keeping you in our prayers! Hi there, welcome home. This private is my grandson and I’m very very proud of our private. Hey Stephen. Wanted to say congratulation and welcome home Private. I am sure your family missed you while you were gone. Miss you buddy. You’re making us proud! Be strong and of a good courage…-Joshua 1:9 You are made of good stuff. Blessed be the man that honors and serves his country and does so in the the name of Almighty God. You have a strong spirit, an uplifting personality, and I know you’ll do great things wherever you go. I’m blessed to have you as a friend, and will be praying for you. Stephen, I remember you as a little towhead, but what a wonderful man of God you’ve become. I share your parents pride and joy at your path, and am humbled and honored at your sacrifice. Stephen! You are in our prayers. We love you and are so proud of you! I know you are glad to see your family now that you have made it through the past days. I wish I could be there to see your face as you walk through the door. Stephen, congratulations on becoming a Marine… I will be at Paris Island in less then 3 weeks to go pick up my Marine and bring her home… Tiffany Townsend… I am so glad that the two of you we able to train together at PT here at the Marine office… I thank you for your dedication to become a US Marine and to fight and put your life out there for me and my family. I will continue to pray for you while you are out there serving our country. God Bless you Stephen and Thank you!!! 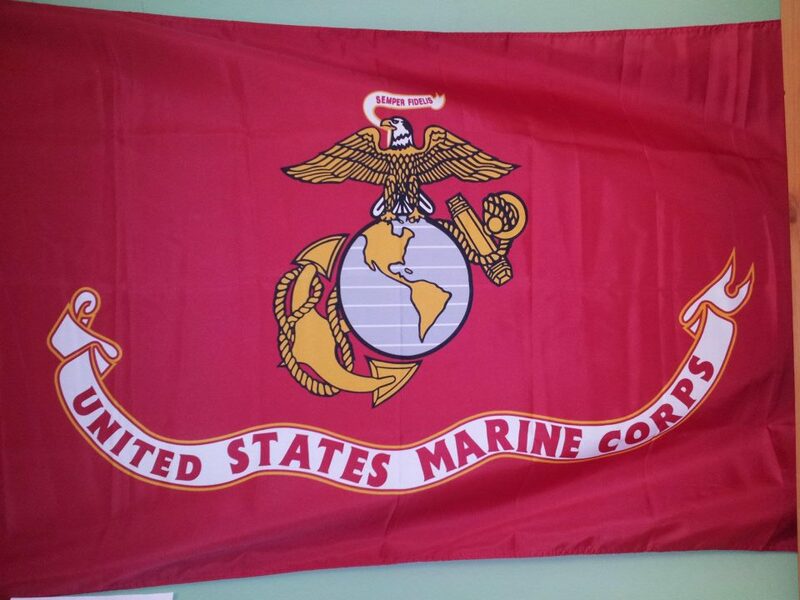 OOORAH and Semper Fi…. Congrats Marine. I’m proud of you Stevo. I knew you had it in you. Welcome to the brotherhood.